The origin of this city dates back to the 6th century B. C. when King Darius I the Great ruled Persia. If the name rings a bell, it may be thanks to his fame, as ruler of the Persian Empire at its zenith, although in the West it may be known especially for the battle of Marathon. In this battle against Athens and Platea the Persians withdrew, giving the victory to the Greek cities. According to legend, Philippians, a Greek, ran nonstop to Athens to announce the victory in Marathon and died exhausted after giving the good news. There are other versions of the story, but this one seems to be the most popular. 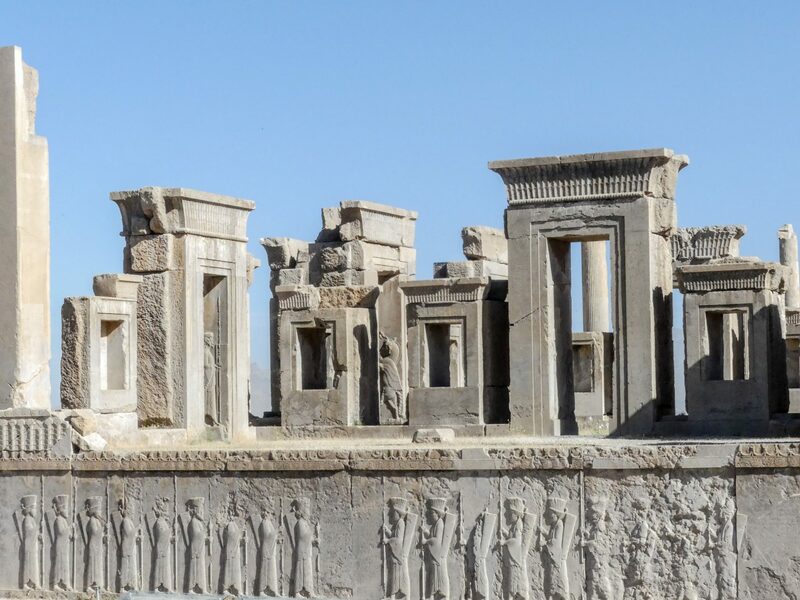 Darius decided to create in 521 B. C. a palace complex that worked as the ceremonial capital of the empire, founding Persepolis. Special celebrations would take place there, such as New Year’s Eve. However the political and administrative capital would be Pasargada, later Susa and then Ecbatana and Babylon. Later it was enlarged by his son Xerxes I (famous for being the Persian king during the war of the Thermopylae, the war of the 300 Spartans), and by his grandson Artaxerxes I. Oh, and as a side note, these names are transliterations of the Greek, the original Persian names are very different. For example, Xerxes is actually Khshayarsha (you can hear how it sounds here). It’s something I never thought about until our beloved Iranian guide, Sharareh, told us! An interesting fact is that Persepolis wasn’t build with slave labor but with paid workers, unlike Greeks and Romans. This is important because over the centuries in Europe the Battle of Marathon and the War of Thermopylae have been seen as the defense of free Greek cities against the tyrannical Persian Empire. The reality is that Achaemenid Persia was an advanced society in many ways, such as the prohibition of slavery or women’s rights. This is a good example of how history should always be examined from various points of view. The terrace of Persepolis can be seen from miles away, and its main entrance is on the west side. The first thing that caught my attention is how low the steps of the stairs are. Apparently this is so the emissaries who entered the city could go up as they spoke while keeping their dignity. For this people walking without having to bend their legs too much or making too much effort was a big deal. The entrance also allowed access to riders on horseback. I am Darius [Dâryavuš], the great king, king of kings, the king of Persia [Pârsa], the king of countries, the son of Hystaspes, the grandson of Arsames, the Achaemenid. My father is Hystaspes [Vištâspa]; the father of Hystaspes was Arsames [Aršâma]; the father of Arsames was Ariaramnes [Ariyâramna]; the father of Ariaramnes was Teispes [Cišpiš]; the father of Teispes was Achaemenes [Haxâmaniš]. That is why we are called Achaemenids; from antiquity we have been noble; from antiquity has our dynasty been royal. Eight of my dynasty were kings before me; I am the ninth. Nine in succession we have been kings. By the grace of Ahuramazda am I king; Ahuramazda has granted me the kingdom. These are the countries which are subject unto me, and by the grace of Ahuramazda I became king of them: Persia, Elam, Babylonia, Assyria, Arabia, Egypt, the countries by the Sea, Lydia, the Greeks, Media, Armenia, Cappadocia, Parthia, Drangiana, Aria, Chorasmia, Bactria, Sogdia, Gandhara, Scythia, Sattagydia, Arachosia and Maka; twenty-three lands in all. These are the countries which are subject to me; by the grace of Ahuramazda they became subject to me; they brought tribute unto me. Whatsoever commands have been laid on them by me, by night or by day, have been performed by them. Within these lands, whosoever was a friend, him have I surely protected; whosoever was hostile, him have I utterly destroyed. By the grace of Ahuramazda these lands have conformed to my decrees; as it was commanded unto them by me, so was it done. Ahuramazda has granted unto me this empire. Ahuramazda brought me help, until I gained this empire; by the grace of Ahuramazda do I hold this empire. Ahura Mazda is the god of the Persians, who followed the religion of Zoroastrianism. If you want to know more about this ancient religion that is still present today in Iran and India you can visit the entry I wrote about it. Personally I find this inscription fascinating, speaking of the glory of the Empire in the middle of its ruins. It kind of reminds me of the famous Ozymandias poem. After going up the stairs of the entrance, the first thing you see is the Gate of All Nations. This gate is what is left of the entrance of the old wall. The first thing that caught my eye were the two enormous lumasi, beasts with the body of a bull, eagle wings and the head of a man. They are mythological creatures of Assyrian origin, and are very present in Persian culture and Persepolis. A great god is Ahuramazda, who created this earth, who created heaven, who created man, who created happiness for man, who made Xerxes king, one king of many kings, commander of many commanders. I am Xerxes [Khshayarsha], the great king, the king of kings, the king of all countries and many men, the king in this great earth far and wide, the the son of Darius [Dâryavuš], an Achaemenid. By the favor of Ahuramazda this Gate of All Nations I built. Much else that is beautiful was built in this Persepolis [Pârsâ], which I built and my father built. Whatever has been built and seems beautiful – all that we built by the favor of Ahuramazda. May Ahuramazda preserve me, my kingdom, what has been built by me, and what has been built by my father. That, indeed, may Ahuramazda preserve. I found interesting the large number of visitor inscriptions on the side of the gates, with names and dates. 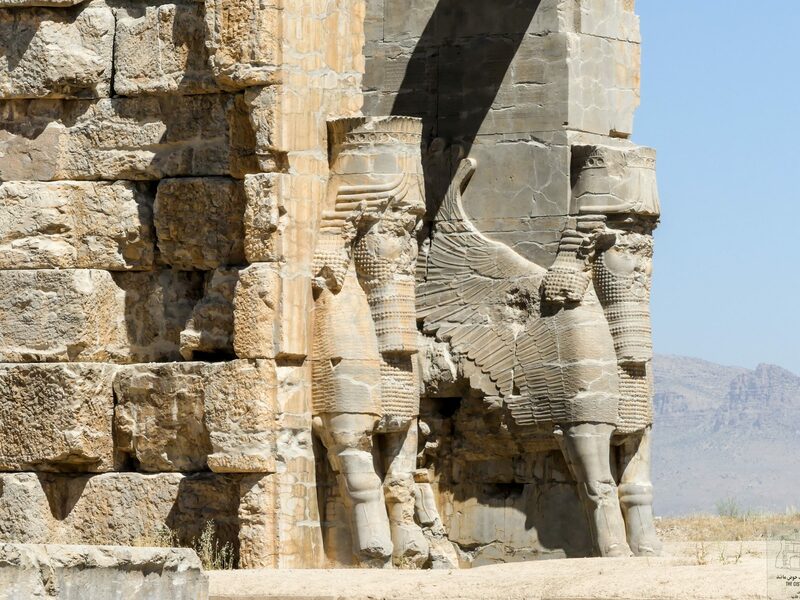 Some of the dates go back centuries, including British Army officers and the first westerner to visit Persepolis, Cornelis de Bruijin, a dutch artist that left his signature on 1704. I don’t like to see historic buildings vandalized, but this proofs that we humans have always be kind of the same. This palace, also known as the Throne Hall, is one of the most damaged buildings by the fire that destroyed the city. As its name suggests the palace had 100 columns, and it was a huge construction with a square base and 70 meters of side. Only the door frames and the base of the columns remain standing. Fortunately, a large number of decorative reliefs are still in good condition. They represent several animals, such as bulls and lions, as well as flowers and acorns. In other areas of the building, such as the doors, there are different reliefs representing all sorts of scenes, such as the king defeating enemies. Another shows the religious structure of the society, with Ahura Mazda on top, the king underneath and several soldiers holding it. 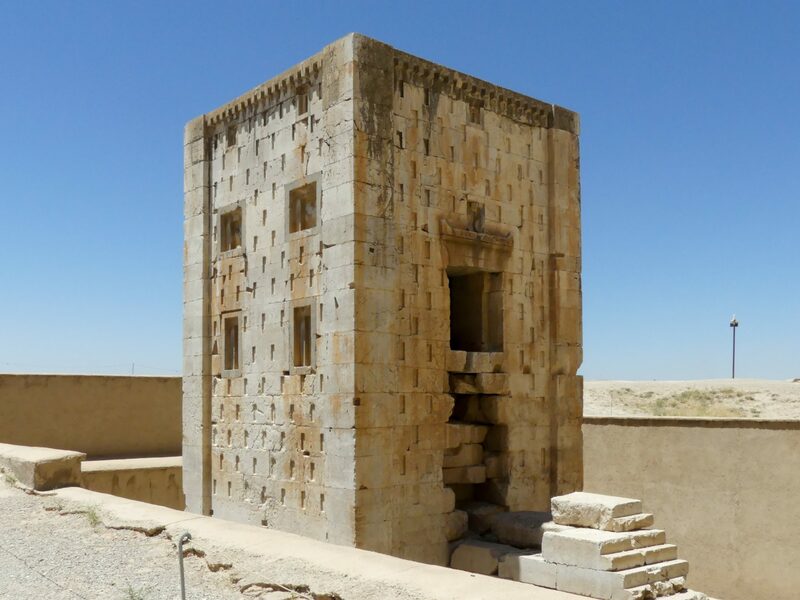 The Tachara or Tacara is a palace built by Darius I, enlarged by his son Xerxes I and finished by Artaxerxes III. This is an important place in Persepolis because it’s where the fire that would cause its destruction started. It is located on a platform raising 2.5 meters from the ground and decorated with reliefs of different characters. Today the only remains are the door and window frames, built with great mastery in solid stone blocks. This is a job that would have required an enormous amount of work, one of the blocks weights 18 tons! They were so important that in all the window frames there is an inscription that says “Stone frames built in the house of King Darius”. Unfortunately, access to the interior was forbidden so I had to see it from the outside. However, there appear to be several inscriptions and graffiti from later visitors, similar to those at the Gate of All Nations. One of them is from the leader of a Central Asian tribe, from the 4th century A. D. In the inscription he describes how they celebrated a banquet in the Palace of 100 Columns and praised the creators of Persepolis. The construction of the Adapana, also called the Darius I Courtroom, began in 505 B. C., although it took so long that it had to be completed by Xerxes I. It is a large and complex building with different elements. The first of them is the palace. Like the Palace of 100 Columns is square, although somewhat smaller in size, about 60 meter. It is supported by 36 columns, and only about one third remain standing. Because of its size it’s estimated that it could accommodate around 10,000 people. Being located in the upper part of the terrace would allow the king to observe the plain near Persepolis, where parades used to be held. 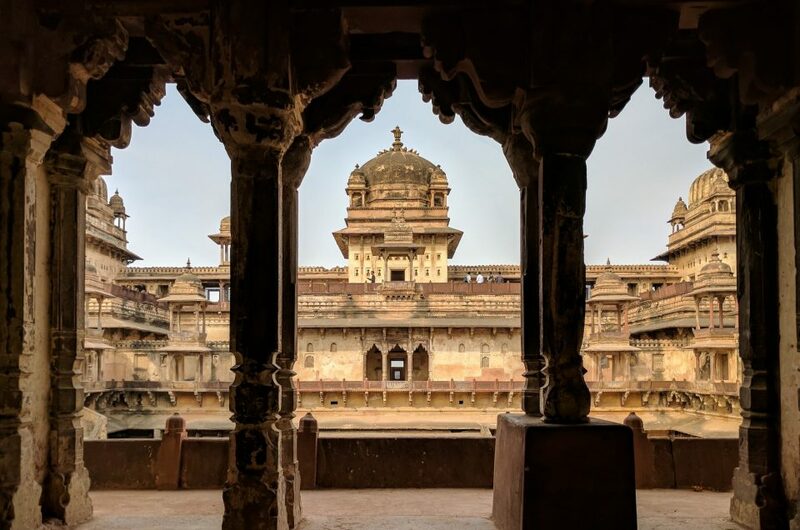 The palace was richly decorated and the stone of its walls painted, something that we know because remains of pigments have been found there. The second element is the eastern staircase, decorated with well preserved reliefs. They depicted all sorts of things depending on the area. In one of them there are citizens from the different nations ruled by Persia, decorated with carvings of flowers, trees and seeds. The flowers are pomegranate, a very important fruit in this part of the world, and very influential later in Islam, even being mentioned in the Koran. 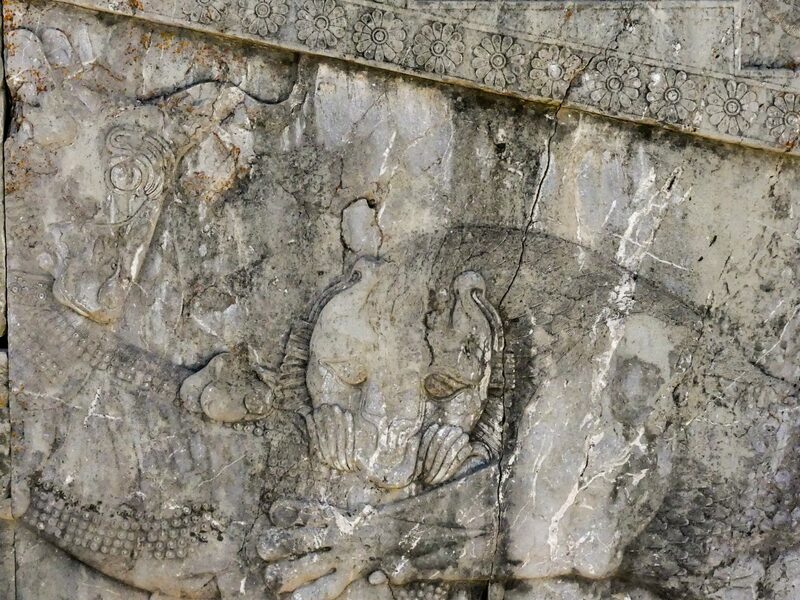 The eastern staircase also has carvings that show a parade celebrating New Year. One of the symbols of the change of year is a lion eating a bull, which also appears here. The lion and bull represent the change of year because the Persians celebrated New Year’s Eve in Spring, where the constellation of Leo was at its zenith as Taurus descended to disappear into the horizon. In this area of the staircase we can also see the famous immortals, the elite regiment of the Persians. In another area of the eastern staircase there are depictions of 23 delegations from nations subjugated by Persia. This is the element with more carvings by far, with more than 250 people depicted. In case anyone is curious, this is the list of all delegations: Median, Elamites, Armenians, Aryans, Aracosians, Babylonians, Assyrians and Phoenicians, Aryans, Aryans, Cilicians, Cappadotians, Egyptians, Scythians, Lydia, Lidios, Births, Gandhariens, Bactrians, Bactrians, Sagartians, Sogdians, Indians, Thracians, Arabs, Drangians, Somalis and Nubians. The third element is the northern staircase, decorated in a similar way to the eastern staircase but not so well preserved. The central area depicts eight guards, although it was originally decorated with a figure of Xerxes I, Darius I and a civil servant. The original piece was apparently moved to the Treasury. The treasury, built by King Darius I, is a huge building covering an area of 10,000 square meters. It consists of several rooms supported by columns, but only the base remains. Despite its enormous size there are only two small entrances, probably for security reasons. Here clay and wood slats were found describing the wages paid to builders. It is a remarkable building not only for guarding the nation’s wealth, but also for its looting by Alexander the Great. Today, in front of the building we can find a sign explaining how the treasure was transported when Alexander took it. Plutarch described how he needed 10,000 mules and 5,000 camels. 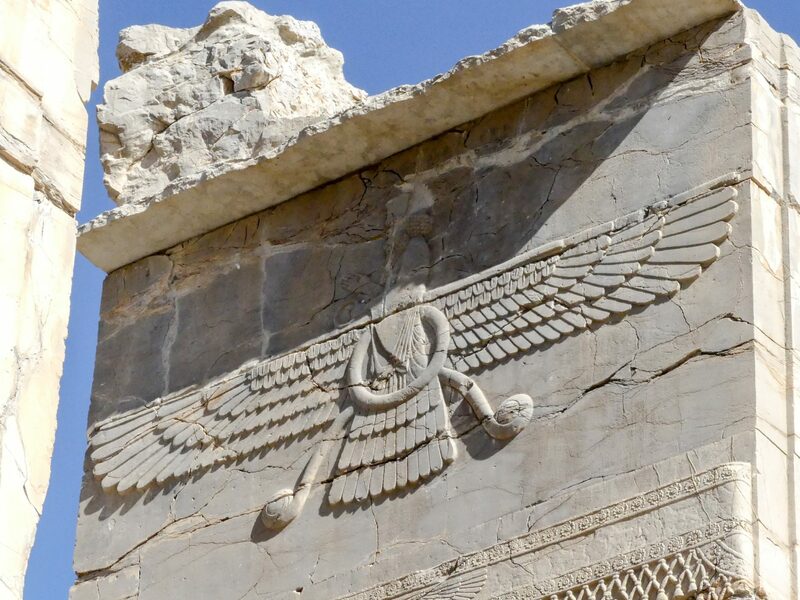 The Naqsh I-Rustam is located twelve kilometers northwest of Persepolis. It is a necropolis carved in rock with the tombs of the Achaemenid kings. Several of the most notable kings are buried there, including Darius I and Xerxes I. The tombs are not marked, except the Darius I one, so we don’t known for sure who they belong to. The tombs are huge, located well above the ground. They have carvings, apparently added by Sassanids 700 years later, already in the third century. 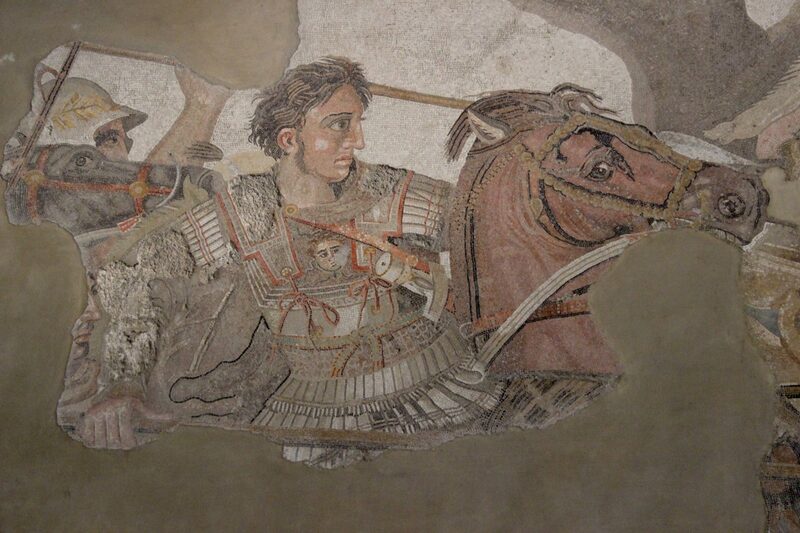 The tombs were, of course, looted after the conquest of Alexander the Great. 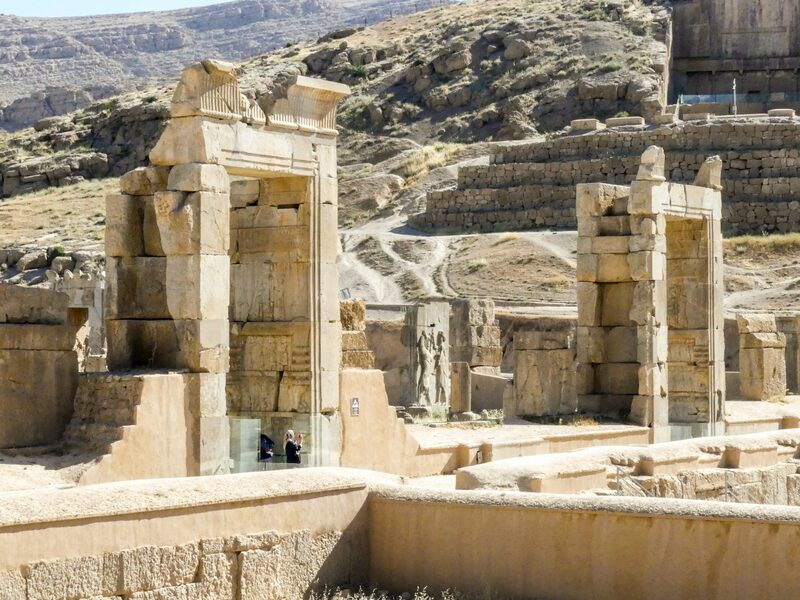 Being in the presence of the resting place of Darius I or Xerxes I is an incredible experience that I recommend when visiting Persepolis. 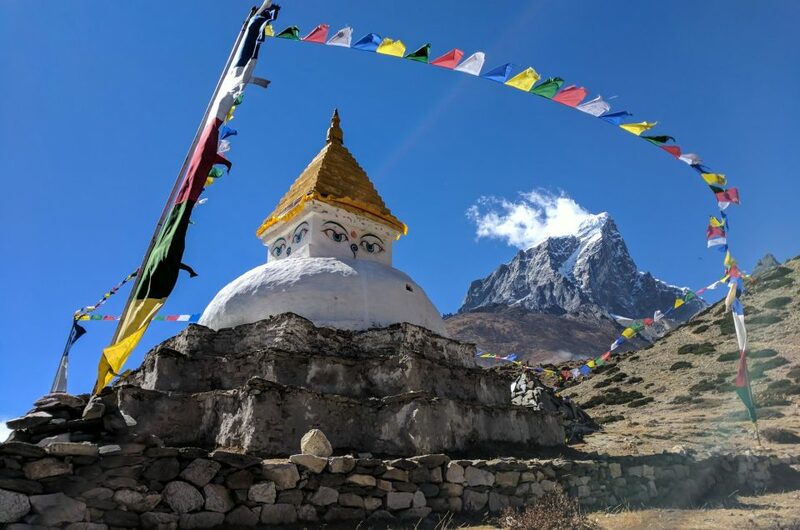 It’s not far from the city and the tombs are really impressive. Of course, there’s a separate entrance fee. There’s one more building in the enclosure, the Ka’ ba-ye Zartosht. It is a small cubic tower whose function is not known, although there are several theories about it. It is speculated that it could have been a temple of fire, a mausoleum or an archive that stored the Avesta (sacred book of Zoroastrianism). Anyway, there is no solid evidence in any direction, so for now it remains a mystery. So far I haven’t talked too much about Alexander the Great, after all he wasn’t important in the city until the year 330 B. C, 200 years after its construction. The city was not built with too many defenses due to its location in the center of the Empire. Alexander, however, rushed through the Persian Empire, so that didn’t really matter. 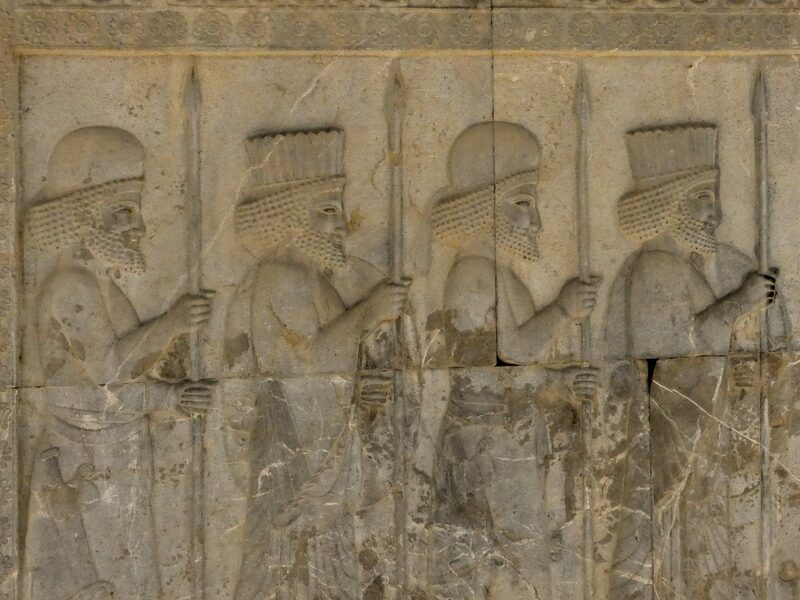 Persepolis was conquered in the 330 B. C., but it wasn’t destroyed until a year later. After taking the city, Alejandro left part of his army stationed there and continued his march, and didn’t come back for a while. The tale of the fire that ended with the city is a story that shows very well the character of Alexander the Great. 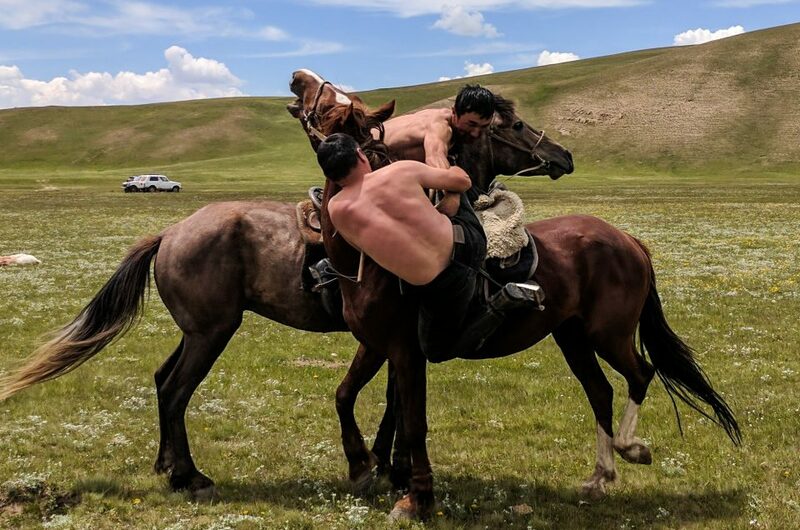 The young conqueror, euphoric with victory, decided to celebrate it in the city. At the banquet everyone drank way too much, and Alexander, wasted, gave orders to burn the city. He began by throwing a torch at the Tachara, the palace of Xerxes I, as vengeance for his attack on the Greek cities and the looting of Athens. Many historians argue that the decision to destroy the city was, however, a thoughtful decision by Alexander. Persepolis represented the ideological heart of the Achaemenid dynasty, the capital of the Empire, and its destruction marked its end. This makes sense when examining the behavior of the Macedonian in similar cases, in which he ordered to save the conquered cities, especially Babylon. 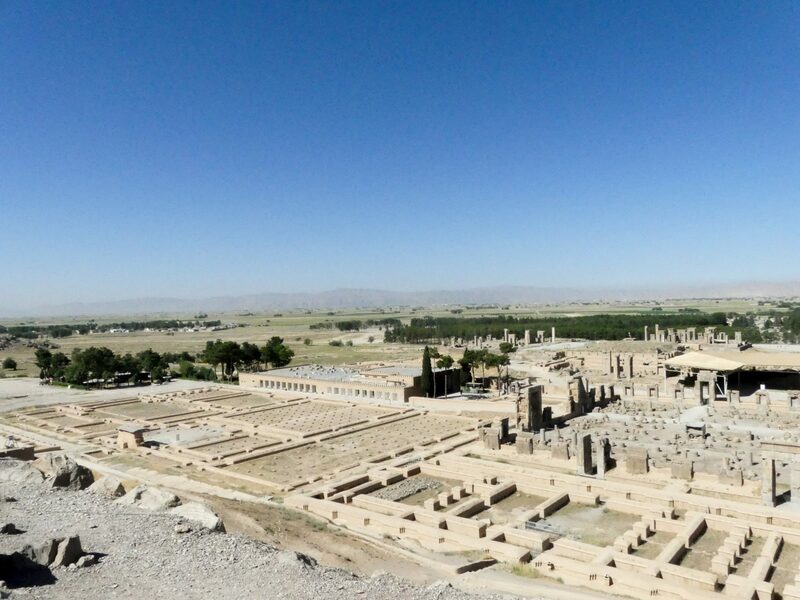 All sources show that Alexander regretted having destroyed the beautiful city of Persepolis later on. Anyway one thing was clear, the Persian Empire was in his hands. Darius III was the last Achaemenid king, and Persia would be Hellenized during the reign of the Seleucids after his death. Persepolis is undoubtedly a more than recommended visit if you are going to be in Iran for a while. 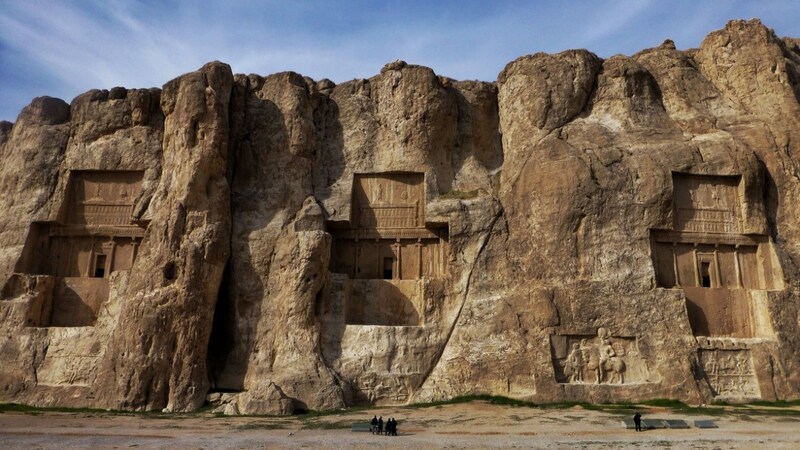 It’s a very special place, especially if you like history, Persian culture or the adventures of Alexander the Great (although in Iran is considered a villain rather than a hero). Getting there is very easy from the city of Shiraz, about 70 km from there. There are many transportation services and travel agencies that will take you there, so there’s no excuse! I see very few posts on Iran’s attractions despite its status as the country which was home to some of the most ancient civilizations on our planet. Thank you for opening our eyes to the majesty of Persepolis. The photos capture the glory of the architecture and sculpture in all its glory. Iran is such an underrated and relatively unknown country in so many ways, specially for Westerners. I went there skeptical and it turned out to be one of my favorite ones! Wow, this is truly such a great place and an awesome historic place. Reading your blog post is like watching a Persian movie. I find it really interesting and your photos speaks a lot about the reign of Persian King. Thanking you as well for opening about the majesty of Persepolis. Thank you so much for sharing this with us. What a historically immaculate place…it really reminds me of being in Rome or something! My boyfriend’s whole family is Persian, so it’s awesome to learn more about their ancient culture and the tales of their ancestry. What an amazing place you got to explore! wow. truly amazed by the construction. so detailed and purposeful. You shared so many great facts. Love this post! I always have to stop and think how they did all of this building with no machines, just humans. My husband has wanted to visit in this area so much and this has made it more interesting to me also. The architecture per se is very luxurious and very powerful! It is very interesting to learn the story of those era and learn how rich they are. I only read about Xerxes and Artaxerxes in the Bible. Upon learning this place now, it made me want to see this place in flesh. It’s really interesting. I’ll make sure I’ll visit this place when we get the chance to explore Iran.